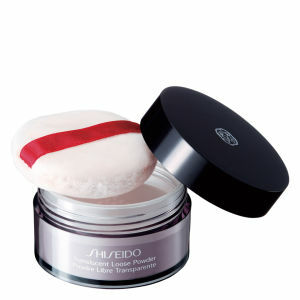 Maintain a smooth, satin complexion with the Translucent Loose Powder from Shiseido. 'Invisible' and light, the ultra-moisturising powder with bio-evening primrose oil and innovative Super Hydro-Wrap Vitalizing DE works to conceal pores, smooth the complexion and maximise flawless potential. Innovative and intelligent, the satin-like powder will combine with the skin to perfectly match any skin tone and leave you with a glowing base. Non-comedogenic, which means it will not cause blemishes, the dermatologically tested powder is your answer to flawless, 'barely there' makeup. - K.N.